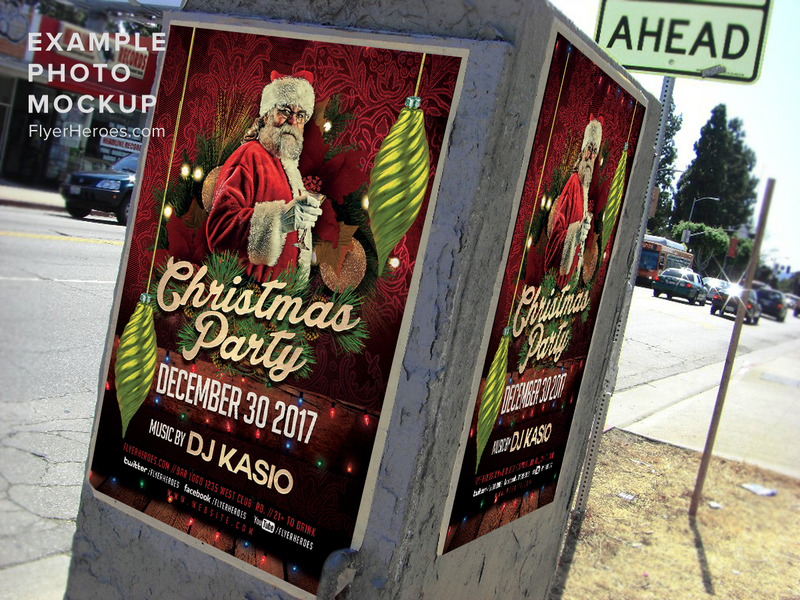 This Christmas flyer template uses the traditional Christmas colors, with a vintage-esque background to help make Santa (and his drink) pop off the page. 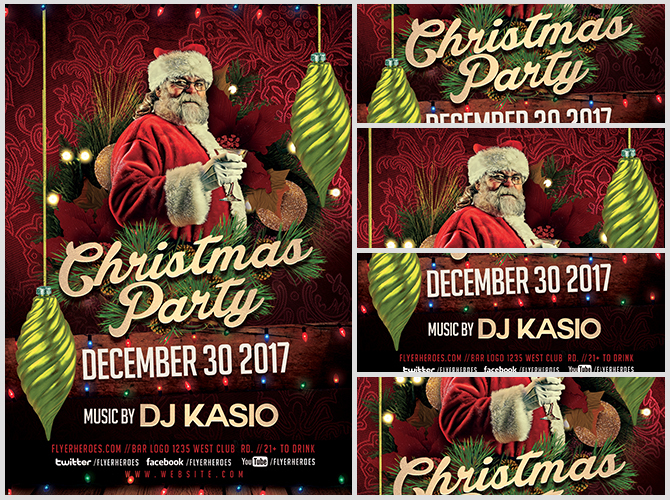 The space where you can add your contact information is adorned by Christmas lights, perfect for the season! 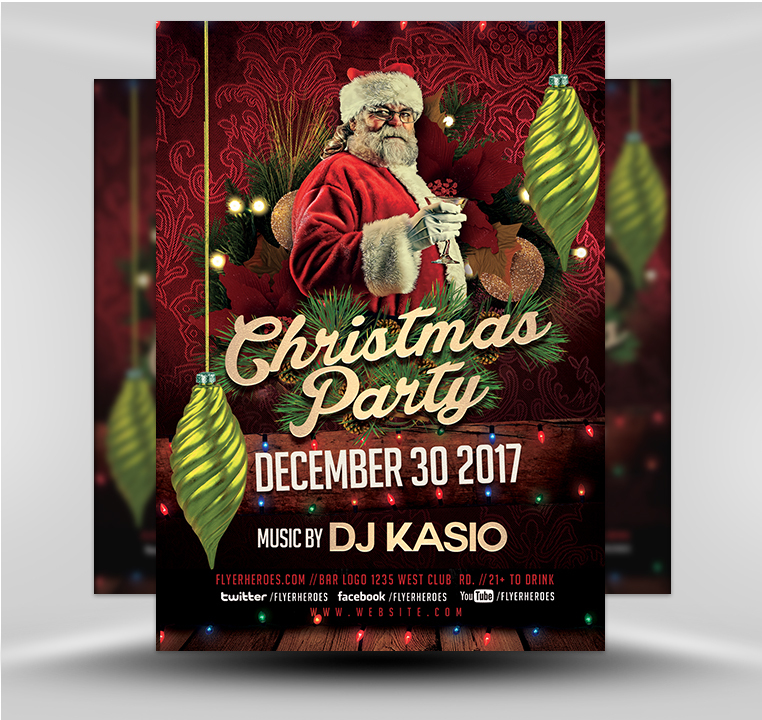 This fully customizable template comes with enough space to add your social media channel, business hours, phone number, and any other information your future customers might need to find you – and your raging Christmas party – in the blink of an eye. 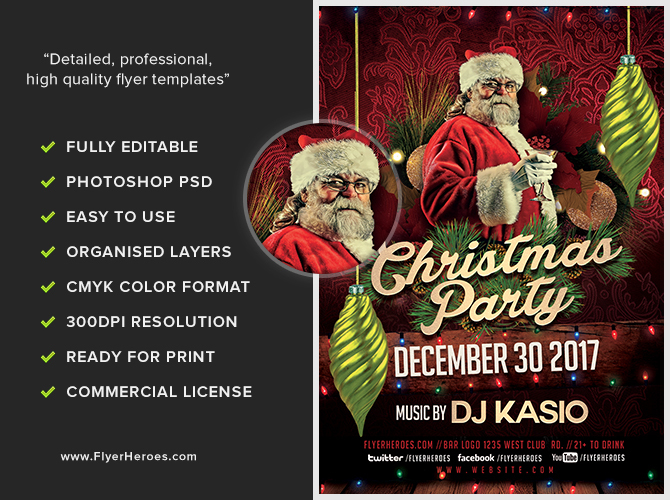 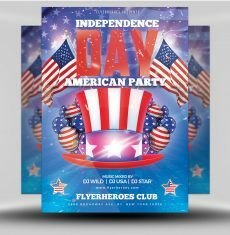 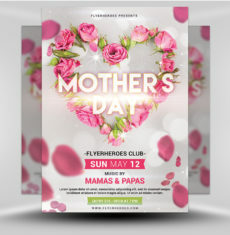 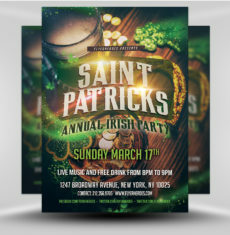 This Christmas Event flyer template is a premium Photoshop PSD flyer/poster template designed by FlyerHeroes to be used with Photoshop CS4 and higher. 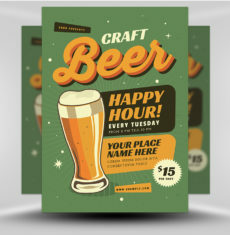 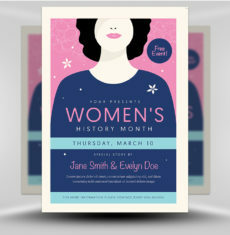 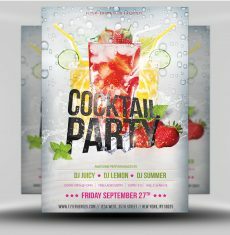 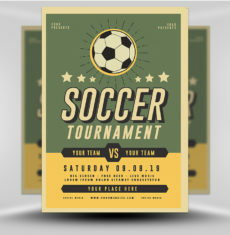 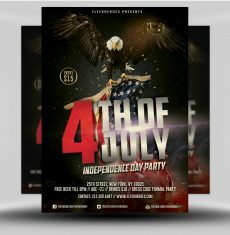 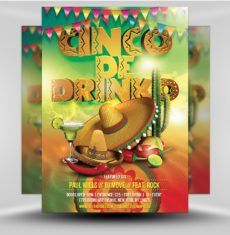 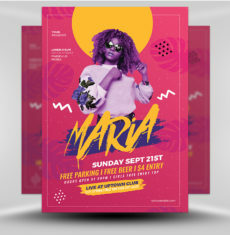 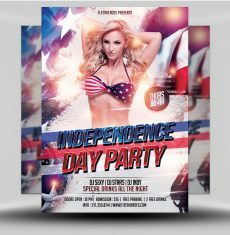 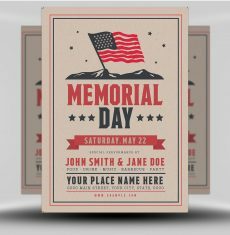 Once you have purchased this flyer template, you are free to make any customisations and modifications you’d like.